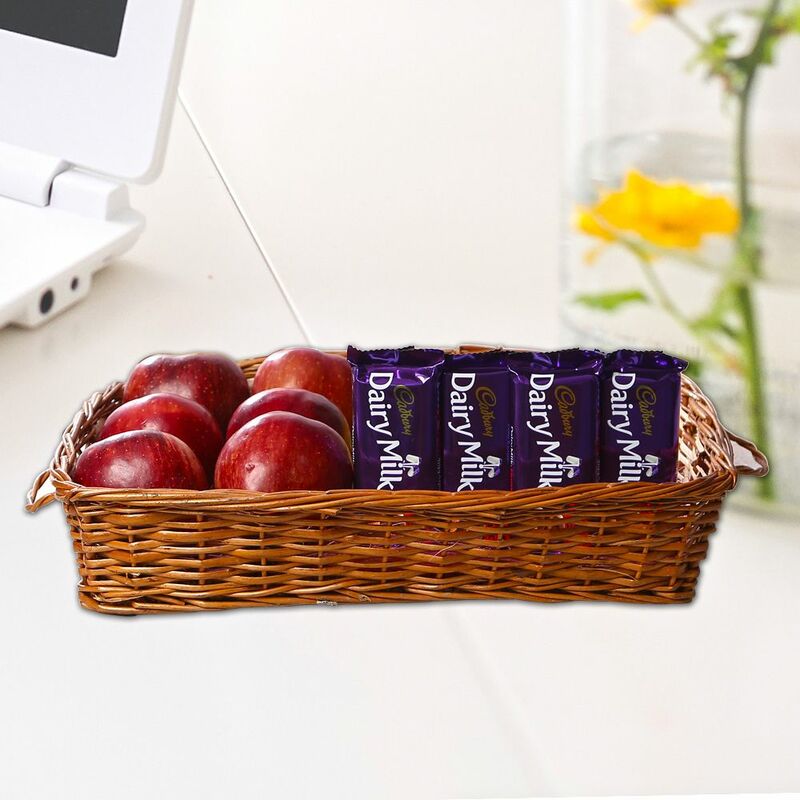 Product Consist : 2 Kg of Apples in a Basket (Basket Color & Design May Vary) along with 4 Bars of Cadbury Dairy Milk chocolates. ((Worth Rs 40/- each). 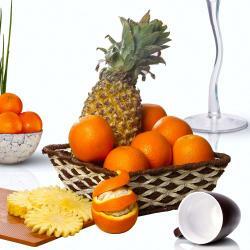 Apple fruit was the king of all fruits originated in the past 4000 years ago. It has the best nutritional facts and its a perfect gift. Send this gift which will reflect the utmost love to friends and family , it is a collection of amazing treats. This combo containts Cadbury Dairy Milk chocolate Bars along with 1 Kg of the best quality apples. 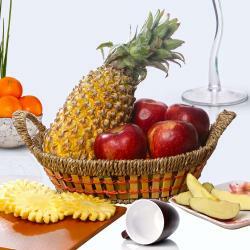 All the items are packed in a cane basket which looks amaze. The sweet and crunchy flavor of the apples will be enjoyed at every bite which will them fit and fine. This combo will be the ultimate choice to be gifted to make him feel on top of the world. 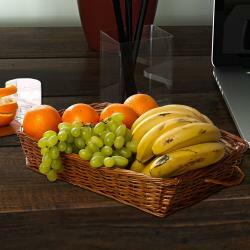 Product Includes: 2 Kg of Apples in a Basket along with 4 Bars of Cadbury Dairy Milk chocolates. ((Worth Rs 40/- each).